I came to the conclusion that the main difference between being a teacher and being an administrator is the unpredictability of the job. Sure there is no grading or lesson planning, and that is indeed a difference, but what has affected me the most this year is the lack of control that I have in what kind of day I’m going to have. As a teacher, I was in control of how my day would turn out. That is, if I had a rough day, it was because I didn’t prepare well enough or my lesson plans were bad. As an administrator, you have to wait for events to take place and then react. 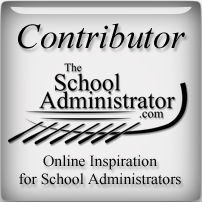 You can’t really prepare or plan for your days as an administrator. I never knew if I was going to have an easy day or a rough one. It all depended on what happened during the course of the day. I did make it a point to come to school each day with a “Today-Is-Going-To-Be-A-Great-Day” attitude. I am a bit of a control freak, and I’ve never been really good at making quick decisions, but the longer I’ve been doing this, the better I’m getting at taking quick appropriate actions. At least I hope I’m getting better. I don’t get frazzled as often as I did when I first started out, and I’m noticing that I’m smiling more. It’s good to smile, even when you’re frazzled. I’d like to share one of my successes that happened recently. We have a boy, we’ll call him Timmy, who is in our special education classes. He has a difficult time staying in his seat and being respectful to his teachers and peers. A week doesn’t go by when he is not sent to the office for some kind of discipline issue. We’ve tried calling parents, and counseling with him, but because of his learning disability, he just wasn’t getting it. We all have Timmys in our schools, I’m sure. He looked at me kind of funny. We then proceeded to discuss what choices he needs to make to keep from getting kicked out of class. To tell you the truth, I didn’t have my hopes up too high. Timmy just doesn’t consider the consequences of his actions before taking them. The next week, I would see Timmy out at lunch, and remind him of our deal. Monday came and went with no visit from Timmy. Tuesday and Wednesday also were Timmy-free. Thursday, I was sure I was going to see Timmy in my office, since there was a sub in his class, but the last bell rang, and Timmy was good. Finally Friday morning arrived, and when I went out to the quad to supervise, Timmy came running. He didn’t say anything. He just came up to me, and waited until I acknowledged that it was the last day of our deal. Then he ran off. On the last period of the day, I called Timmy out of class, and made a big deal when he arrived in the office. We sat down in my office and I dialed his dad’s phone number. When the dad answered, he had that “What-did-Timmy-do-now” tone in his voice. I proceeded to tell the day how great Timmy did all week and thank him for all his efforts at home. Timmy just smiled and listened. After the call, I spent a few minutes praising Timmy on how well he behaved. I then sent him back to class. It’s been two weeks already, and Timmy hasn’t been kicked out of class. It’s amazing how powerful positive phone calls are for our frequent flyers. I would encourage any administrators out there who aren’t already doing this to take some time to make these positive phone calls. I see positive phone calls as investments. We invest a few minutes of our time to make these phone calls, and in return we gain better behaved students and less time dealing with discipline issues. 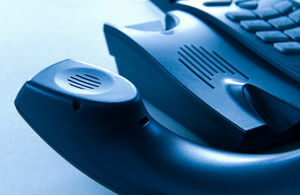 Do you have a positive phone call system in place at your school? I’d love to hear about it. Please send me an email, a tweet, or add a comment.